Choreographing a lavish meal is a high-pressure project to say the least, and when you’re juggling a dozen-odd dishes, every square inch of stove and oven space is precious real estate. 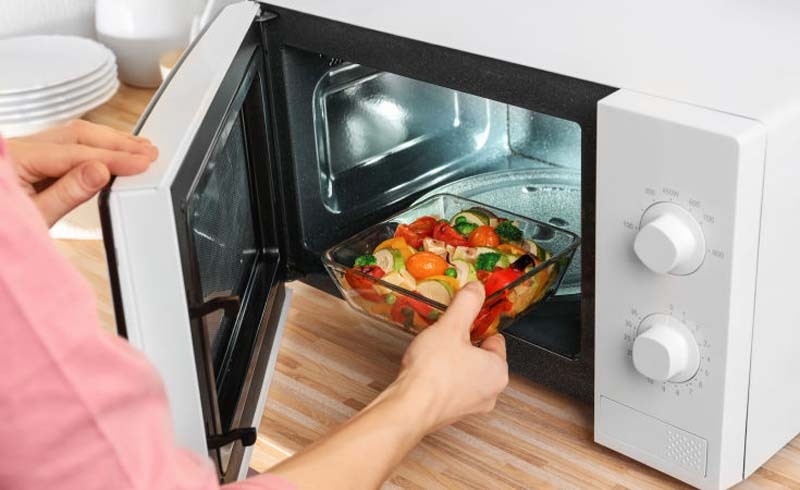 A microwave oven can streamline even the most ambitious prep schedule, as long as you make good choices—some foods just aren’t meant to be zapped. Figuring out what can and cannot be cooked in the microwave is surprisingly tricky. Generally, the more water something contains, the better it’ll fare. That’s not always the case, though, and the nasty thing about microwaves is that they’re either the very best or very worst tool for the job; if it’s the latter, you’ll have a total disaster on your hands. In the interest of disaster aversion, here’s a guide to the dos and don’ts of Thanksgiving microwavery. I’ll stop yelling about microwave custard when it becomes the default technique, OK? It eliminates every scary thing about making a custard: just blend your ingredients together and nuke in short bursts until thickened. No big deal. Custard pie fillings are the big one here, but if you’re so inclined, you could use the time you saved to whip up a stock-based custard for extra-rich stuffing or a Swiss meringue topping for truly over the top sweet potato casserole. Cranberry sauce is natural fit for the microwave, but you can make a solid roux in there, too—which means you’re just a few minutes away from perfect brown roux for gravy, and even less for a blond one. If your container’s big enough, you can make the sauce entirely in the microwave: whisk stock or milk (that you warmed in the microwave, of course) into the cooked roux and heat in short bursts until it’s the right consistency. Brussels sprouts should always be roasted or fried, but most other festive vegetables—green beans, sweet potatoes, squash, carrots, broccoli—can be quickly par cooked in the microwave. Crispy garnishes like fried shallots and toasted nuts can be, too, which frees up your skillets for more important tasks. This miracle contraption does have its limitations, namely, the ability to sustain a Maillard reaction without turning your food into rubber. Stick to the oven for low-and-slow dishes like stuffing, green bean casserole, mac and cheese, and assorted gratins, and always make mashed potatoes over gentle heat on the stove. 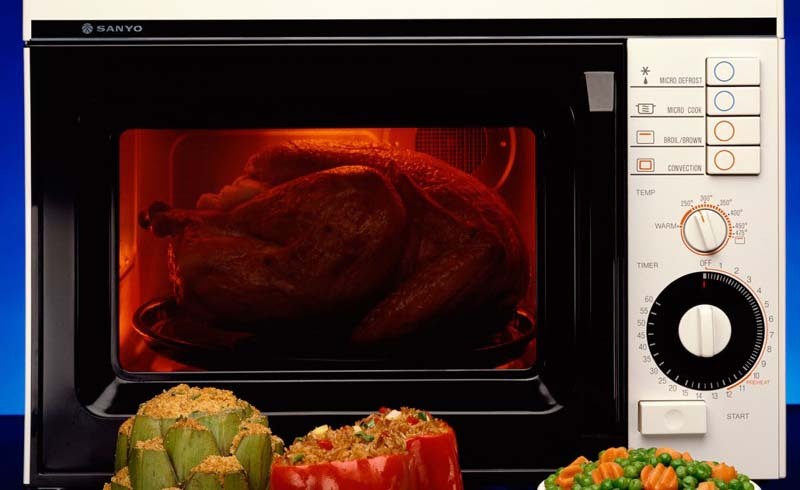 Finally, I doubt you need me to tell you that you should never attempt to microwave a turkey—but just to be sure, why not text your mom and ask how long it’d take? I’m sure she’d love to help.